That’s right! Another ace competition on Pies. Never say we don’t spoil you. To coincide with their coverage of the 2012/13 FA Cup in the UK and Ireland, ESPN are conducting a poll to ascertain the nations’ favourite FA Cup moments in a variety of fields: greatest goals, giant-killings, comebacks, etc. Everybody loves a comeback, and ESPN are keen to find out what your favourite FA Cup comeback is. 1. Blackpool overturning Bolton in the 1952/53 final thanks to a heroic surge from Stanley Matthews and Stan Mortensen. 2. Everton hauling themselves past Sheffield Wednesday in the 1965/66 final, which saw Mike Trebilcock – stop sniggering at the back – become the first black player to score in a Wembley final. 4. Ten-man Man City roaring back to beat Tottenham 4-3 in 2003/04 with an impassioned Keggy Keegan at the helm. 5. 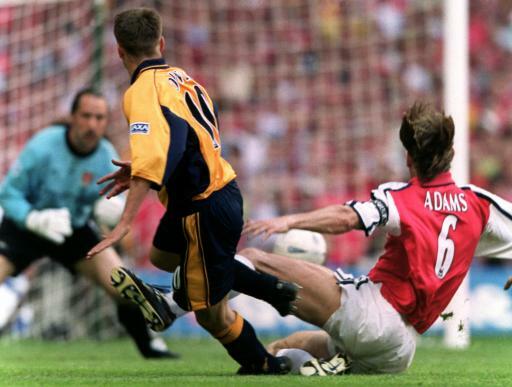 Liverpool (and little Micky Owen) beating Arsenal 2-1 in the very last minute of the 2000/01 final. The polls went live over on ESPN.co.uk this morning and the ESPN boys have kindly asked if the Pies faithful would like to get involved. All you have to do is mosey on over to the poll page, cast your vote and you’ll be automatically entered into the draw to win a pair of FA Cup Final tickets. All the results of the polls and the winners of the tickets will then be announced as part of their all-day, live build-up to the 2013 FA Cup final. Well, what are you waiting for? Head over and cast your vote now! I love ESPN! I think the greatest FA CUP comeback was MANCHESTER CITY V SPURS. I AM a DIE HARD CITY SUPPORTER. ESPN WOULD MAKE MY DREAMS COME TRUE IF I WON THE FA CUP TICKETS.